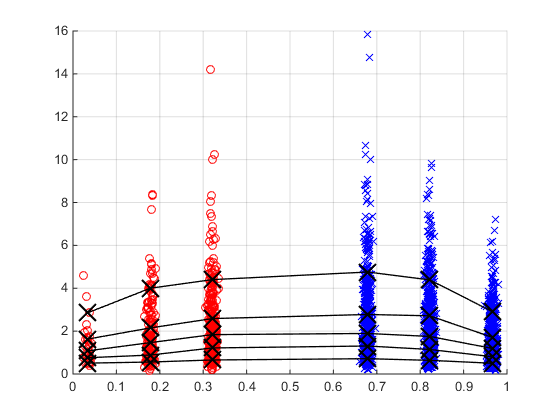 In this post I will present a code I've written to generate Quantile Probability Plots. You can download the code from the MATLAB File Exchange Website. 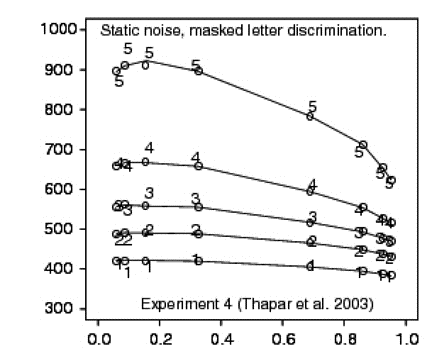 a particular type (e.g., crrect responses) are plotted as a function of proportion of responses of that type: thus, a vertical column of N markers would be centered above the position 0.8 if N quantiles were computed from the correct RTs in a task condition in which accuracy was 80%). 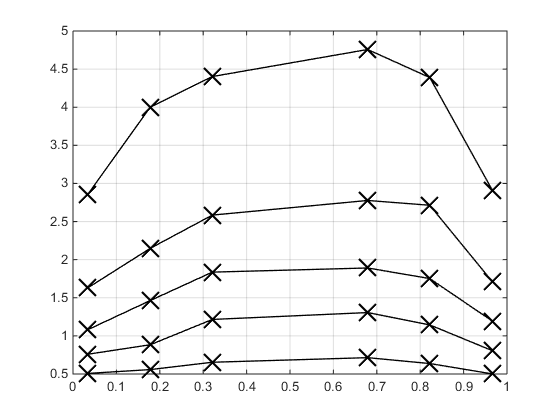 The ith quantile of each distribution is then connected by a line to the ith quantiles of othe distribution." For example, in the graph presented we have four counditions. From the graph we can extrapolate the percentage of correct responses to be around 0.7, 0.85, 0.9 and 0.95 (look at the right side). For each one of this distribution we computer 5 quantiles, plotted against the y axis (in ms). 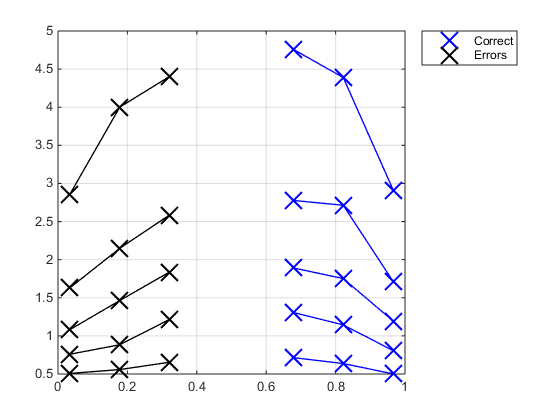 In the left side we have the distributions from the same conditions, but for the error responses! With my code you can easily generate this kind of graph and even something more. Let's see how to use it. First of all, you need to organize the file in this way: first column has to be the dependent variable (for example, reaction times in our case); second column the correct or incorrect label (1 for correct, 0 for incorrect); third column, the condition (any float/integer number, does not need to be in order). This could be enough, but most of the time you want to calculate the average across more than one subject. If this is the case, you need to indicate another column with the subject number. Nice isn't it? 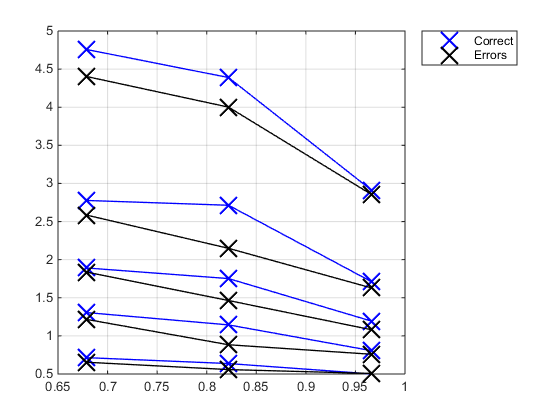 I also elaborate some strategies to better compare error responses with correct responses, through two optional parameters. One is "separate" and the other one is "reverse". Separate can take 0, 1 or 2, whereas reverse can only take 0 or 1 and works only if separate is >0. which allows you to easily compare correct and incorrect responses! With all these options, you can play around with scatter plot, separating, labels etc. in order to easily analyse your data. I include in the file also the Drift Diffusion Model file that I proposed last time. I used this file to generate the dataset I use to test the Quantile Probability Plot code. 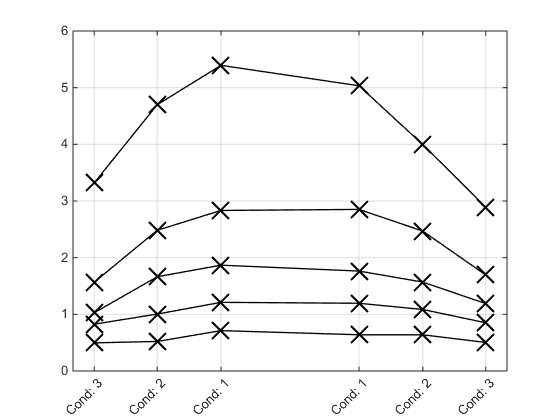 For some example, open the "testQuantProbPlot", also included in the zip file.